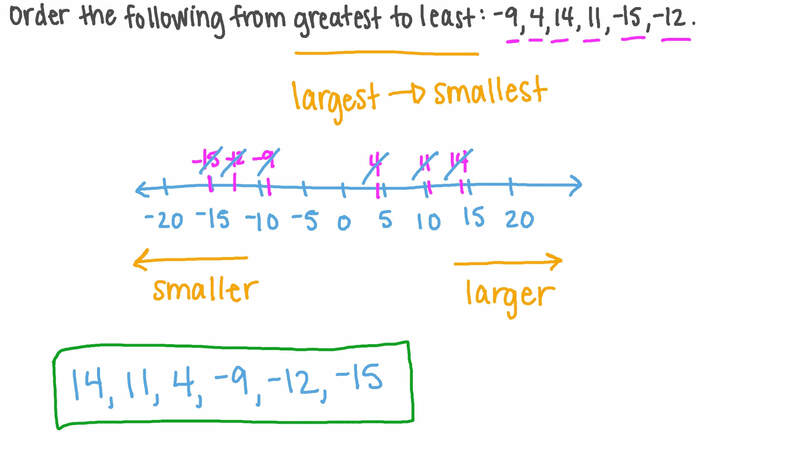 In this lesson, we will learn how to compare two or more integers, including positive, negative, and absolute numbers, and how to arrange them. 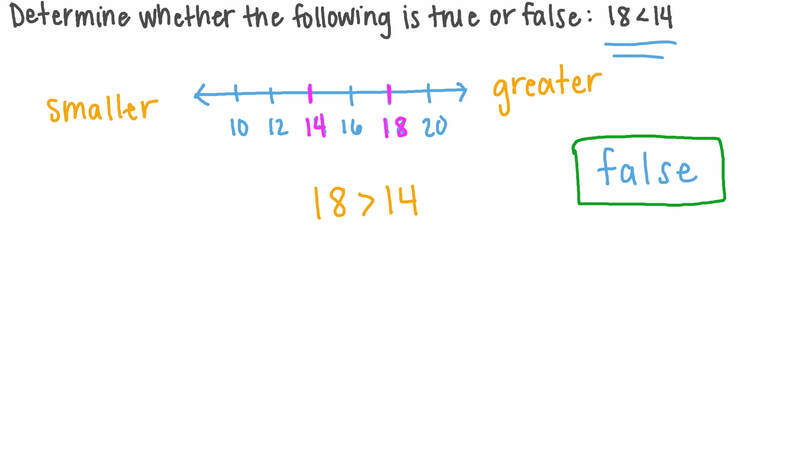 Determine whether the following is true or false: 1 8 < 1 4 . Arrange the following in descending order: − 9 , 4 , 1 4 , 1 1 , − 1 5 , − 1 2 . 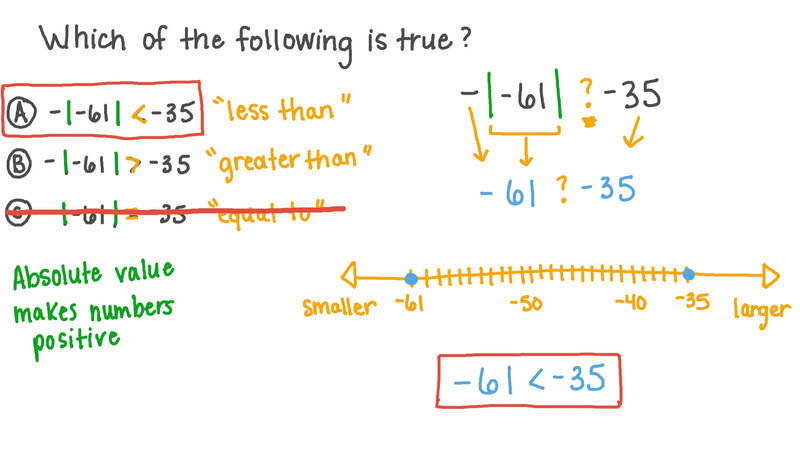 Arrange the following in descending order: 0 , 5 , 7 , − 1 9 , − 1 2 . Arrange the following in descending order: 8 , − 1 7 , − 9 , 2 , − 1 3 , 3 .